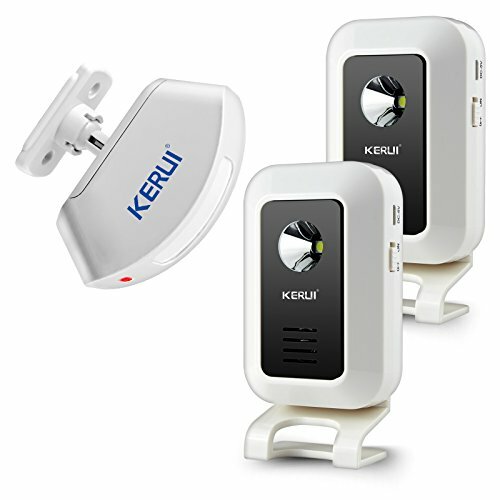 This Split Welcome Alarm adopt advanced wireless transceiver technology, strong microcomputer control system, power-saving design, high-quality voice processing technology integrate with 32 songs. Performance is stable and reliable, receivers and transmitters be studied on the wireless code. It integrate with the function of welcome, burglar, doorbell, night light is suit for home, office, store, factory etc..
1. Please try to use high-quality alkaline batteries or rechargeable batteries. It can use the USB data cable to recharge. 2. Non-professionals do not attempt to repair . 7)The door bell powered by 1.5V AAA battery,which need you to buy,the package not included.